Seminar provides the initial classroom training mandated by OSHA 29 CFR1910.120(e). 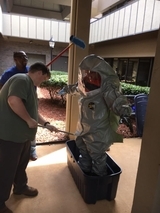 Workers attending this instructor-led course will cover 18 different OSHA suggested topics including Health and Safety Procedures, PPE used during work operations at hazardous material sites, Medical Monitoring and many others. 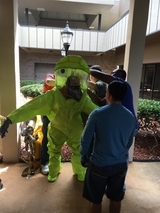 COURSE DESCRIPTION: This course provides the OSHA required annual refresher training for employees who have completed the initial 24 or 40-Hour HAZWOPER course.